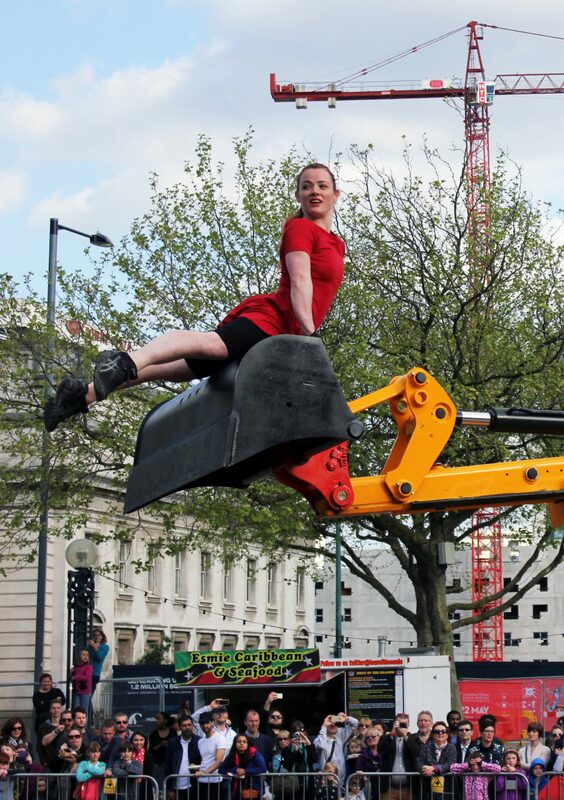 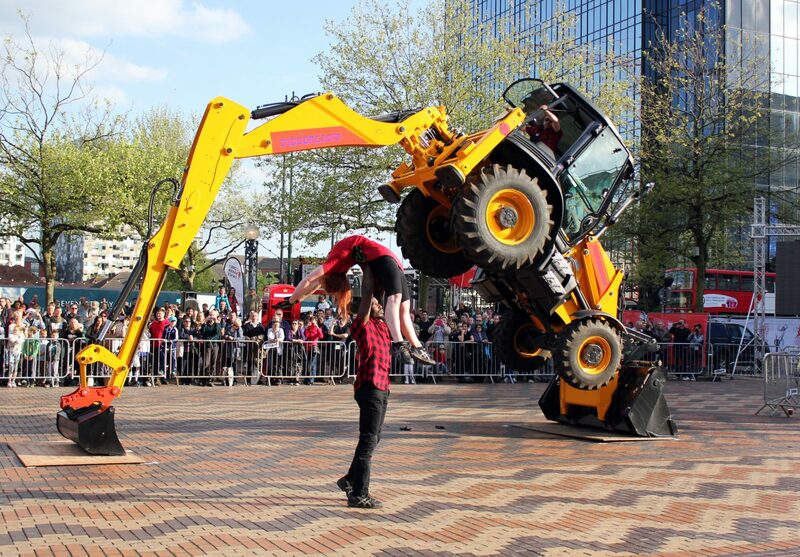 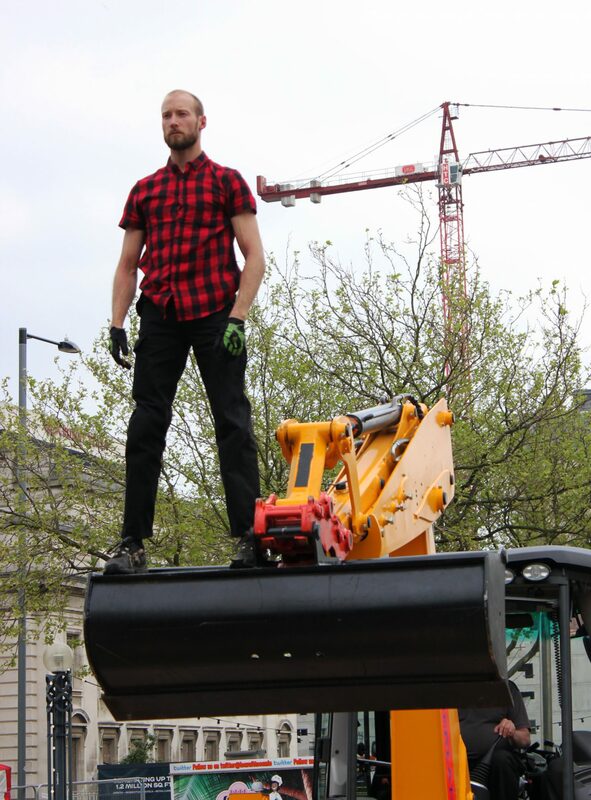 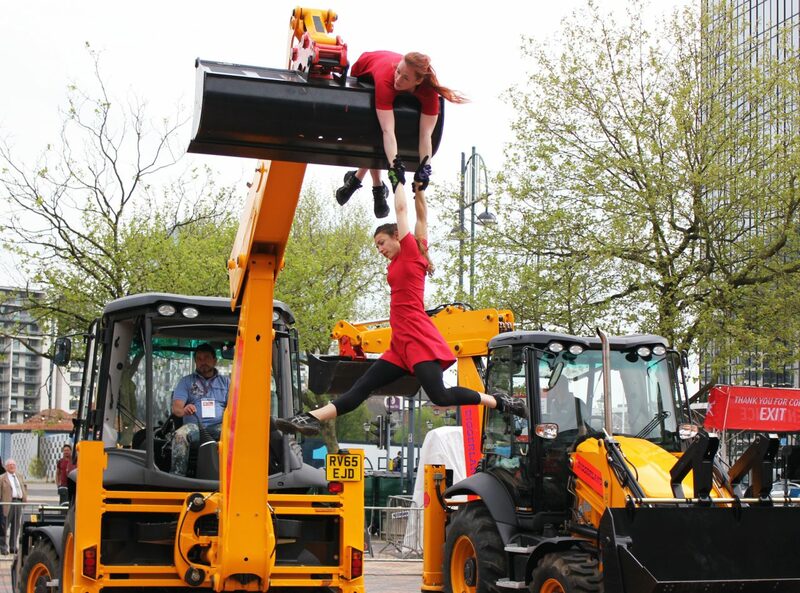 Torque is our latest outdoor spectacle for dancers and JCB diggers, available for festivals and events. 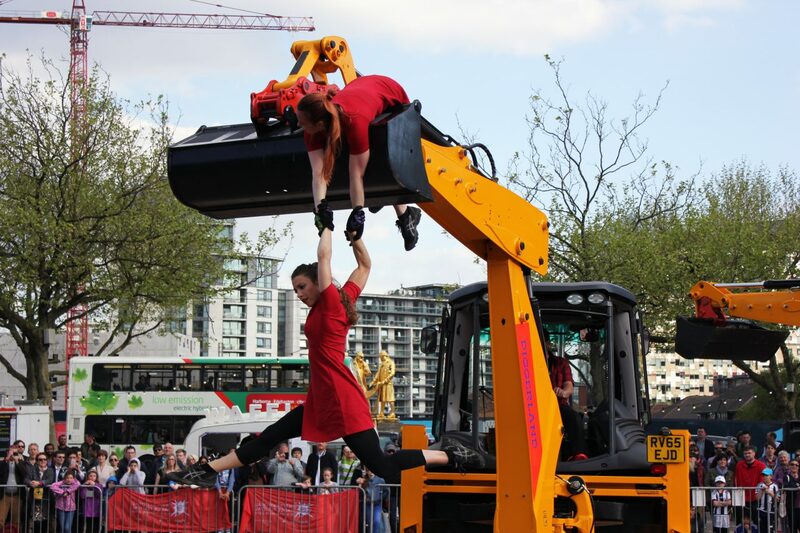 This fast-paced show sees four performers dancing in an extraordinary partnership with two JCBs in a display of strength and agility. 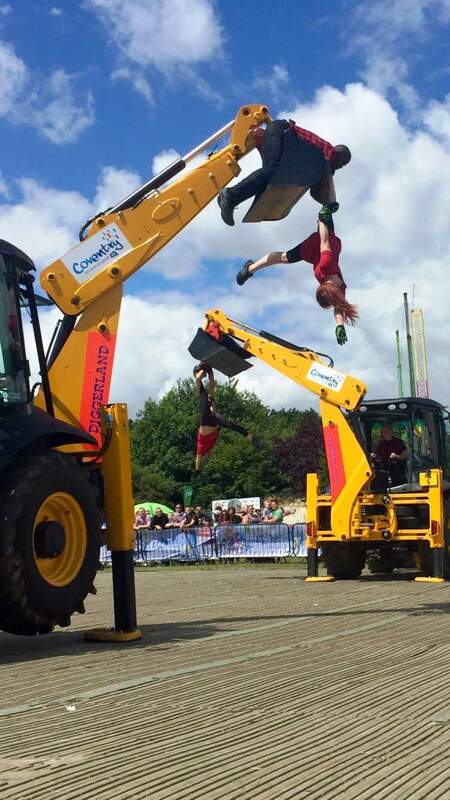 Following on from Traction and Fragile, Torque is a whirlwind of excitement and thrilling entertainment for all the family. 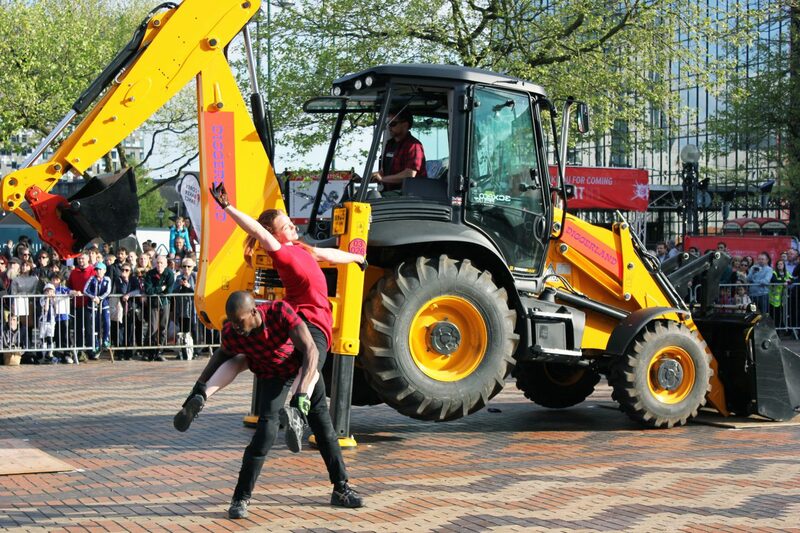 Torque premiered at International Dance Festival Birmingham on 13 May 2016 and was a highlight of the Coventry 2021 UK City of Culture event at the Godiva festival, Coventry in July 2016. 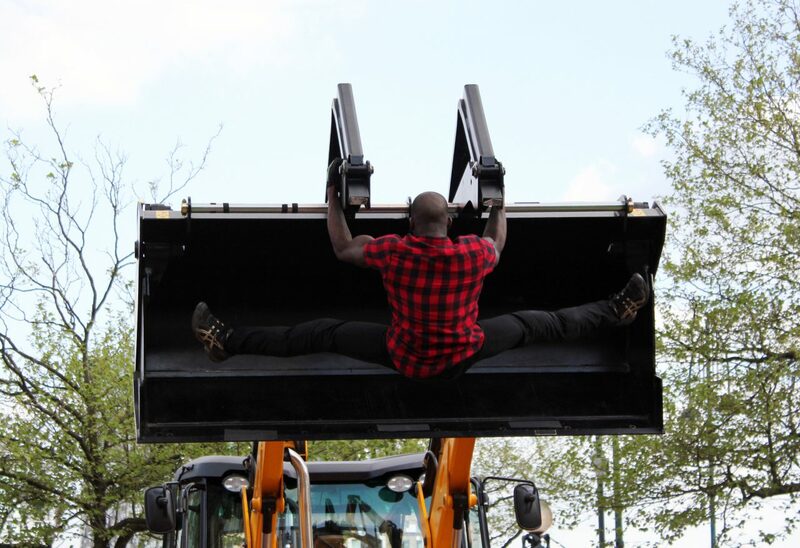 Available for booking. 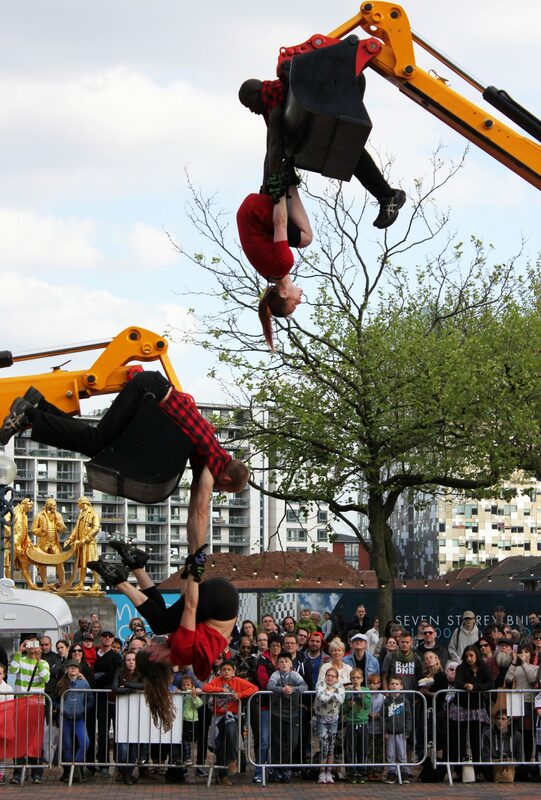 Highlight of the @godivafestival was Torque by @MotionhouseDT… Brilliant.